Malaysian cuisines are a blend of the different ethnic groups that make up the modern country that was formerly British Malaya, the Kingdom of Sarawak and North Borneo. The major races in Malaysia today are the Malays, Indians and Chinese, and as a result, Malaysian cuisines feature a heavy influence from these races. At the same time, however, other distinctive cuisines, such as the Nyonya-Baba (Malay/Chinese fusion) and Kristang (Portuguese/Chinese fusion), are also part and parcel of the rojak that is Malaysian cuisine. Because of this, there is no single unifying, purely Malaysian characteristic that defines the entirety of our country’s food, unless it is the ubiquity of sos cili or sos tomato. Instead, we have a wide selection of foods that come from the world over, which we have adopted as our own. It is quite common, for instance, for Malaysians to start the day off with the Malay nasi lemak (rice cooked with coconut milk served with anchovies, peanuts, sambal, sliced cucumbers, hard-boiled egg and optionally chicken or beef), have the typically-Indian banana-leaf rice for lunch, and finish up with Cantonese fried kueh teow (rice noodles stir-fried in an egg sauce with meat, seafood and leafy vegetables). East Malaysia also has its own unique twists of flavour. For example, the Chinese community in Sarawak have come up with the kolo mee and kampua mee, which, while bearing some resemblance to the wan tan mee in West Malaysia and elsewhere, is distinct in the sense that no soya sauce is used in its preparation. The Ibans have their own specialties such as bamboo-cooked chicken and tuak (rice wine). When it comes to a microcosm of Asian tastes, Malaysian cuisines can’t be beaten. Japanese cuisines, on the other hand, are highly unified, due to the incredibly homogenous population of Japan. And they’re serious about it, too – Japanese chefs, known as itamae, can spend up to 20 years in training. You will notice that many types of seafood – primarily fish, but also prawns, octopi, squid and even shellfish – serve as the underpinnings of Japanese cuisines. 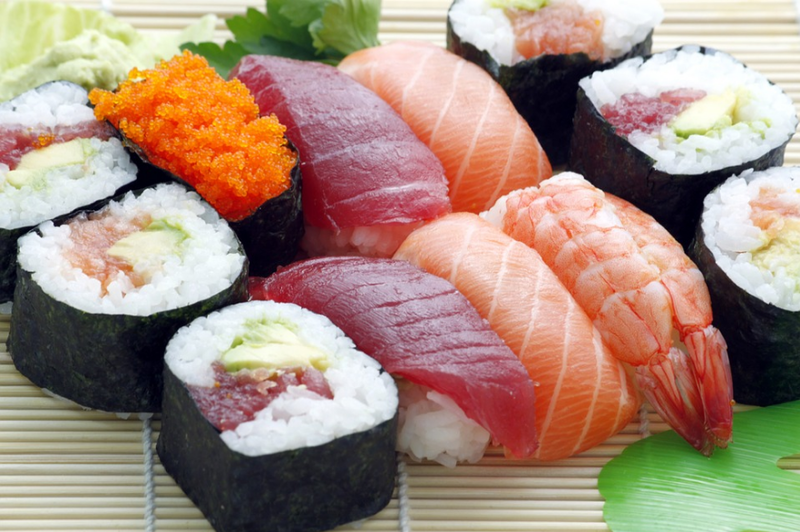 Sushi (rice rolls with a topping of usually seafood) and sashimi (raw slices of seafood), as well as teppanyaki (food grilled on iron plates), are the most famous Japanese cuisines prepared by itamae. You should give nabe (hot pot/Japanese steamboat) a shot, especially during the colder seasons. In fact, nabe is one of those cuisines that do have regional variations. Just like Korea, Japanese cuisines also feature the barbecue – in fact, Japanese BBQ (yakiniku) is thought to have originated from Korean BBQ. Pork and beef, along with chicken, are the main types of meat you will find being used in yakiniku, as are variety meats. Common to all North Asia, rice is of course the staple dish. This gives rise to the bento or the packed lunch, which is basically a set lunch with rice. Japanese cuisines have a wide range of noodle dishes, from the street-hawker ramen to the nagashi-soumen (flowing noodles), where you take your own noodles floating down a bamboo pipe in cold water. This article getting you hungry? Then read on to see how Foodpanda, in collaboration with GoBear Malaysia, can help you out! The World Food Tour brings to you 6 different selected cuisines from around the world. All you have to do is order your food from participating restaurants on the Foodpanda app until the end of November 2016. HSBC credit cards have the SmartPrivileges programme that offers 20% off the total F&B bill for new Foodpanda customers (10% for existing customers) with a minimum spend of RM50 in a single receipt. Still comparing? Order them both right to your door step easy-peasy with Foodpanda. Remember to have the right credit card! Whether discounts or cashback for online purchases, compare credit card offerings in seconds at GoBear Malaysia. Besides attractive weekly vouchers to be won, GoBear Malaysia can’t wait to reward the biggest eater with a RM3,000.00 travel voucher to Japan! Now isn’t that food for thought?